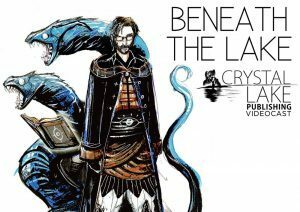 I was honored to be a guest, once again, on the tenth episode of Crystal Lake Publishing’s Beneath the Lake Podcast to provide some commentary on their latest anthology, Behold! Oddities, Curiosities, and Undefinable Wonders, which includes my story “Wildflower, Cactus, Rose.” Here I provide a little insight into what inspired the story and how it came to be. Doug Murano, editor of Behold! and other critically acclaimed anthologies, including Shadows Over Mainstream Vol. 1 & 2, and Gutted Beautiful Horror Stories, which was nominated for a Bram Stoker Award last year for best anthology. Author Erinn L. Kemper who lives on the Caribbean coast in Costa Rica where she writes, runs with her dog on the beach, and drinks ridiculous amounts of coffee, at least until happy hour. Erinn has sold stories to Cemetery Dance magazine, Dark Discoveries and Black Static, and appears in various anthologies including You, Human, Shadows Over Main Street Volume 2, and Chiral Mad 3. Visit her website at erinnkemper.com for updates and sloth sightings. And author Richard Thomas, who is the award-winning author of seven books—Disintegration and Breaker (Random House Alibi), Transubstantiate, Staring Into the Abyss, Herniated Roots, Tribulations, and The Soul Standard (Dzanc Books). His over 100 stories in print include Cemetery Dance, PANK, storySouth, Gargoyle, Weird Fiction Review, Midwestern Gothic, Arcadia, Qualia Nous, Chiral Mad 2 and 3, and Shivers VI. He is also the editor of four anthologies: The New Black and the Shirley Jackson-nominated Exigencies (Dark House Press), The Lineup: 20 Provocative Women Writers (Black Lawrence Press) and the Bram Stoker Award®-nominated Burnt Tongues (Medallion Press) with Chuck Palahniuk. 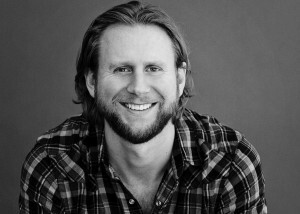 In his spare time he writes for LitReactor and is editor-in-chief at Gamut Magazine. For more information visit www.whatdoesnotkillme.com. This was my second time being a guest on this podcast. The first time was to talk about my contribution in Gutted Beautiful Horror Stories, and that episode can be viewed HERE. Thanks for checking it out. Hope you enjoy it.